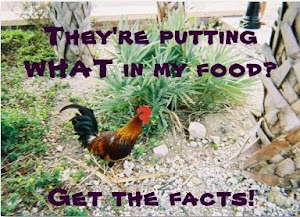 Keep the fight for your right to know what's in your food going. 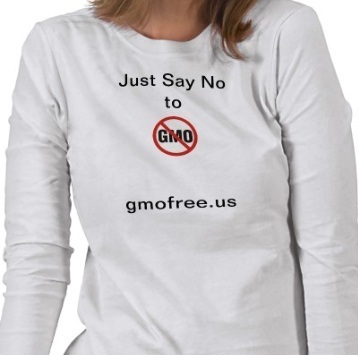 Visit gmofreezone.org for t-shirts, buttons, signs and more. Just say "no" to GMO! OK, we don't normally endorse particular brands on this blog, but we have to pass along this great tip for an awesome product! We know many of you probably suffer from digestive disorders due to the effects of GMOs and toxins in the Standard American Diet. We have come across an amzaing, natural treatment that stops diarrhea fast. We have tested it and can personally recommend it as a proven alternative to OTC and prescription treatments. Read the testimonials and draw your own conclusions! "Esdifan stops diarrhea fast and naturally." Why is Soros Selling Gold to Buy Farmland? Why Is Soros Selling Gold and Buying Farmland? Congress Bans FDA From Approving Genetically Modified Fish! In an impromptu show of support for standing against forced TSA pat-downs, Alex Jones and hundreds of local supporters showed up at the capital Wednesday afternoon to confront senators face to face. Americans are fed up with the abuse of power that seems to be increasing more and more everyday, and now the threat of making Texas a "no fly zone" if the senate did not stop the bill to override TSA authority was the final straw! It was gratifying to see people stand up to the tyranny that is taking place in our country. People are starting to wake up in America. Alternative news has gained rapid support in recent weeks. God bless America. Stand up for your freedoms as laid out in the Bill or Rights and the US Constitution! Food Prices Continue to Skyrocket. Be Prepared BEFORE The Food Shortage Gets Here. Need to Get Your News Out FAST? Need Your site Ranking on Page 1 in the Search Engines? Blazing Fast Search Engine Optimization Blows Away the Competition! Doubt and confusion are the currency of deception, and they sow the seeds of complacency. These are used skillfully through massive print and television advertising campaigns by the Corn Refiners Association ’s attempt to dispel the “myth” that HFCS is harmful and assert through the opinion of “medical and nutrition experts” that it is no different than cane sugar. It is a “natural” product that is a healthy part of our diet when used in moderation. Except for one problem. When used in moderation it is a major cause of heart disease , obesity , cancer, dementia , liver failure, tooth decay and more. The goal of the corn industry is to call into question any claim of harm from consuming high fructose corn syrup, and to confuse and deflect by calling their product natural “corn sugar”. That’s like calling tobacco in cigarettes natural herbal medicine. Watch the slick ad  where a caring father walks hand in hand with his four-year-old daughter through a big question mark carved in an idyllic cornfield. New websites like www.sweetsurprise.com  and www.cornsugar.com  help “set us straight” about HFCS with quotes from professors of nutrition and medicine and thought leaders from Harvard and other stellar institutions. But there was one more thing I learned during lunch with Dr. Bruce Ames. Research done by his group at the Children’s Hospital Oakland Research Institute  found that free fructose from HFCS requires more energy to be absorbed by the gut and soaks up two phosphorous molecules from ATP (our body’s energy source). This depletes the energy fuel source or ATP in our gut required to maintain the integrity of our intestinal lining. Little “tight junctions” cement each intestinal cell together preventing food and bacteria from “leaking” across the intestinal membrane and triggering an immune reaction and body wide inflammation. An FDA researcher asked corn producers to ship a barrel of high fructose corn syrup in order to test for contaminants. Her repeated requests were refused until she claimed she represented a newly created soft drink company. She was then promptly shipped a big vat of HFCS that was used as part of the study that showed that HFCS often contains toxic levels of mercury because of chlor-alkali products used in its manufacturing. (i ) Poisoned sugar is certainly not “natural”. David S. Ludwig, M.D., Ph.D., Associate Professor of Pediatrics, Harvard Medical School, and a personal friend has published extensively on the dangers and the obesogenic properties of sugar-sweetened beverages. He was quoted as saying that “high fructose corn syrup is one of the most misunderstood products in the food industry.” When I asked him why he supported the corn industry, he told me he didn’t and that his comments were taken totally out of context. (ii) Bray, G.A., Nielsen, S.J., and B.M. Popkin. 2004. Consumption of high-fructose corn syrup in beverages may play a role in the epidemic of obesity. Am J Clin Nutr. 79(4):537-43. Review. Perhaps the Royal Family will have the influence needed to compete with the money and influence of Gates and "foundations" that are pushing the GMO agenda. Please keep spreading the awareness! Click Here to Congress, "No Subsidies for Poison Crops!" Please sign and share with everyone you know! 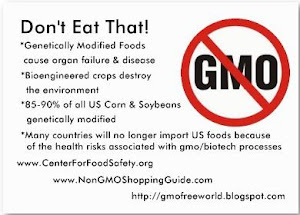 Labeling GMO Food - New ballot initiative in the U.S.
We expect biotech interests in the US to try their usual trick of persuading people to reject the labelling initiative on the claimed grounds that it will increase food prices for consumers. But this claim has been exposed as hogwash in an article by Prof Chris Viljoen (item 2), who says, "There has never been a documented report that genetic modification labelling has led to a cost increase in food anywhere." Local grandmother and food activist Pamm Larry is leading a grassroots charge to get an initiative put on the 2012 California ballot that would require all genetically modified (GMO) foods—including meat and other products from animals fed GMO foods—to be labeled as such. Larry (pictured) calls herself the "primary instigator" behind the Committee for the Right to Know, which recently launched a website called Label GMOs: It’s Our Right to Know (www.labelgmos.org). She just got back from the San Francisco Green Festival, and she was asked to return to San Francisco in September to help organize and participate in a conference on GMOs. Larry said that after "bitching and moaning" for years about the increasing prevalence of GMO foods and lack of labeling as such, she decided to act. In January, she "took six weeks to learn about government and the initiative process," and by early April she had a website and a Facebook page up and running with more than 700 supporters. Larry has been gaining support throughout the state, including from the California State Grange, she said. She has to have a properly worded document to state authorities by September; upon approval, the big job begins of garnering enough signatures to get the initiative put on the ballot. "As consumers, we have a right to know what we put in our mouth," Larry said. Go to www.labelgmos.org to learn more and to volunteer to help. It was with interest that I read recent press articles about calls to label modified foods. I was most interested in the comments on the perceived link between the threshold for labelling and the cost of labelling. First, whether the threshold is 5% or 1%, there is no cost difference in laboratory testing — I should know as I run the GMO Testing Facility that performs routine genetic modification detection in SA. Further, the regulations make provision for companies to assume an ingredient contains genetically modified matter if it was derived from a crop for which there is a genetically modified equivalent being produced in SA, such as maize or soybean. In such a case, no laboratory testing would be required, with no additional cost to the company. Compared to this, companies that want to indicate an ingredient has not been genetically modified would be required to verify this using laboratory tests — but this is no different to what is being practised. Second, the proposition that genetic modification labelling will increase food costs 10% to 20% is unfounded and based on misinformation. In a comprehensive study in the European Union (EU) it was estimated that the added cost to food of genetic modification labelling ranged from 0,01% to 0,17%, depending on the stringency required. The EU system for genetic modification labelling is considerably more stringent than in SA and from this it is reasonable to suggest that the labelling cost to food would be much lower in SA. There has never been a documented report that genetic modification labelling has led to a cost increase in food anywhere. What is being implemented in SA can be considered a minimum level compared to genetic modification labelling in other countries, including Australia, Brazil, China, New Zealand and the EU. Third, the comment that some food products "cannot be accurately analysed or labelled because they do not contain detectable protein" is misleading. It is true that processing destroys protein, making it undetectable, but the world standard for performing genetic modification analysis on food is not based on detecting protein but rather DNA (the molecule responsible for making the protein). DNA is considerably more stable than protein and genetic modification detection laboratories around the world routinely analyse highly processed food ingredients, including starches and oils. It is true, however, that extremely processed products cannot be tested accurately for genetically modified content as even the DNA may be destroyed. In such cases the ingredients used to make the extremely processed product can be tested. Finally, genetic modification labelling is no different to labelling foods for the presence of additives or colorants — common practice in SA. There is no report that this practice has resulted in any food cost increase either. If consumer rights are truly autonomous, genetic modification labelling should be no exception. Thanks to all who listened to our Atlanta interview this afternoon on http://wrfg.org! And thanks to the radio station for giving this worthy cause some well deserved airtime! Petition! Please sign if you have not already done so! Big thanks to Trish Wright for driving this movement, along with all the volunteers across the nation who coordinated and/or worked behind the scenes for rallies on March 26th and ongoing rallies leading up to the big march in October from New York to DC! Together we can make our voices be heard! We have a Right to Know if our food is GMO! Tune in to WRFG 89.3 FM Monday at 12:45 pm as we discuss the recent Rally for The Right To Know in Atlanta. Connecticut Debate - Sign Petition and Contact Your Rep Today! Outrage Pours In After USDA Approves GE Alfalfa Deregulation! Thursday the USDA announced alfalfa would become deregulated thus allowing genetically engineered alfalfa to grow alongside organic and non-ge alfalfa. By Friday night, their Facebook Page had over 171 comments - all of which were expressing GRAVE DISAPPOINTMENT and DISAPPROVAL of the decision. What will it take for our government to take seriously the dangers of GMO's? Please continue to visit the USDA page and post your opposition. Several have also mentioned a class action law suit and are currently in the process of seeking out attorneys. Keep the pressure on!